David Bowman has provided editing services since 1992, helping writers worldwide communicate professionally, engage their readers, and meet their writing goals. He is the owner and chief editor of Precise Edit. Mr. Bowman received his Bachelor’s degree in Education/Communication Arts from the University of New Mexico, Master’s degree in English from the University of California-Irvine, and Executive MBA from the Anderson School of Management, University of New Mexico. 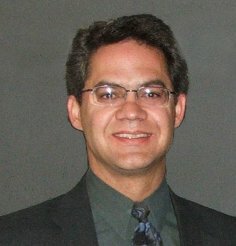 Following a teaching career with the Bureau of Indian Affairs, he was a program administrator for the New Mexico State Department of Education. Now, in addition to serving as executive director for 2 non-profit leadership organizations, Mr. Bowman is a top-rated writing instructor for the University of New Mexico. Mr. Bowman believes that effective communication depends on effective writing. He produced these resources to help all people write well and meet their communication goals. He is the author of 6 writing guides. He wrote his first writing guide, Precise Edit Training Manual, in 2007 to help his freelance editors understand good writing and meet his high standards for effective writing.